The Moon's departure from your income sector yesterday has left you with a better sense of where the money is, along with valuable clues, hunches and insights to process. While the focus shifts back onto money matters as a whole today, the Moon has left you with valuable insight, just days before the Sun's return to your career sector. The Moon's monthly visit to your income sector is always a mixed blessing and especially so this week. Yet while this will lead to an inevitable clash between income and money matters midweek and this might create some financial tension, this is both a small price to pay and value for money.  The Moon will return during Mercury's last full day in your financial sector and while he will leave before they can oppose, this will still put pressure on Venus and Neptune. Yet with Venus leaving your financial sector over the weekend, even without the positive income implications, the planet of money will easily turn this into motivation. On the other hand, this puts the Moon here and your nose for money sharp during Pluto's last full week in direct motion in your work sector and in the lead up to the Sun's return to your career sector over the weekend. While the Sun left your financial sector last month, taking the solar spotlight of your financial situation and money matters, the right planets are staying behind to help wrap up this annual financial review. Venus, the planet of money returned late last month, just two days before Mercury turned direct here and together they will work to tie up loose ends on the financial front, in the first three weeks of April. Mercury returned in February for what should have been a 14 to 15 day visit aimed at giving you the smart head for money needed to get your head in the game and to make smart choices, decisions and plans. Instead, Mercury spent the majority of March in retrograde motion, retracing his steps, going back over old ground and giving you a chance to retrace your steps. Back in direct motion, until leaving on 17th April, Mercury is finally ready to help you make smart financial choices, decisions and plans, as you continue to take your financial power back. Venus is less focused on smart financial choices or decision making, with the planet of money more focused on fuelling your financial confidence and attracting opportunities. This is also Venus' chance to team up with dreamy Neptune. Venus and Neptune will align on 10th/11th April, with the planets of money and dreams joining forces to update your financial dreams and your wish list. Fortunately, with Mercury here until 17th April, he is on hand to weave them into your financial game plan and resolutions. Where Venus and Neptune can create a clear sense of the 'what', Mercury and his smart head for money are able to focus on the 'when, where and how'. Meanwhile, the Moon's transit through your income sector from 15th April to 17th April will sharpen your nose for money ahead of the Sun's return to your career sector on 20th April.